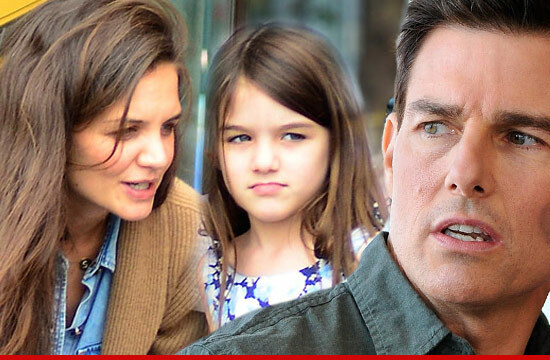 The former 'Dawson's Creek' star shocked the 'Top Gun' actor earlier this summer when she filed to end their marriage in New York, and the quick finalization - which happened within weeks of the divorce announcement - means she will only get support for their six-year-old daughter Suri, of whom she has legal custody. A source told TMZ.com Katie will receive $400,000 a year in child maintenance, equating to $33,333.33 a month. He will be paying the support for the next 12 years until Suri is 18, totalling $4.8 million. It has also been discovered both parties agreed that the tot would not attend a "residential" school - meaning she cannot be taken to an educational establishment with boarding. Tom has also agreed to pay for all of Suri's expenses, including dental, medical, education and college costs. Katie is believed to be a "new woman" since splitting from the 50-year-old actor, and is glad to be free of quasi-cult Scientology, to which Tom is devoted. A source said: "She now gets to see her family more, feels free to concentrate on her career and is no longer living in fear of Scientology. "Katie is a new woman, she feels refreshed, free of Tom and doesn't have a worry in the world."